At Billy Lanes Pest Control we have a vast aray of inspection tools to use that will ensure you can have the best job possible. While most pest or termite inspectors will go and tap around a wall and use a moisture meter, Billy Lanes Pest Control likes to give their customers more reasurance. 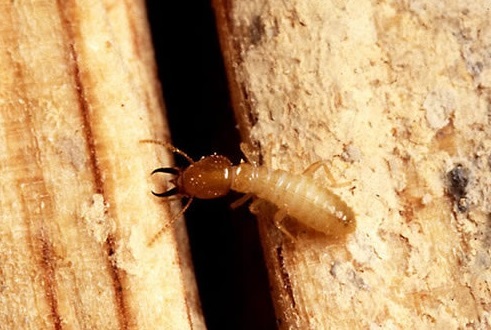 We can use our Termite Detecion Dog, a Thermal Camera or our Termatrac in your termite inspection, so if you live in Wollongong, Sydney, Campbelltown, Southern Highlands and you want the best possible termite inspection available. To find out how these tools can help you get a better inspection scroll to their tool description. Termite detections dogs are trained like customs dogs and because they do not have to see the termites and only smell them they can give you the best possible inspection on your house. Our dog is so well trained that we can hide termites (safely ) in your house for about 10 minutes and our dog will find them, This really gives you some reassurance that there is a very low chance of your house having termites. We use a Testo 882 thermal camera. This camera is very high quality and has a resolution of 320 x 240. This resolution is very important a it gives us 76,800 measuring points per veiw to make an informed decision on your house. Please note that not all Thermal cameras are the same the lower the resolution the poorer the picture quality and sensitivity of thermal images. We have the Termatrac T3i this machine has a built in moisture meter, thermal laser and what is most known for is it’s microwave sensor. The termatrac has the ability to emitt a microwave ( not your cooking machine ) through various building material, if any movement is detected by the microwave it is sent to a palm piolet which will indacte the high possibility of termites. this tool is very good as we can use it to detect termites without doing an invasive inspection. We belive that if your house is on a concrete slab this tool is your bare minnimum tool required to do an inspection.